Witty, entertaining and provocative, this is a unique and important memoir that will transform your perspective of parenting forever. A lot of people wonder how Chinese parents raise such stereotypically successful kids. They wonder what Chinese parents do to produce so many math whizzes and music prodigies, what it's like inside the family, and whether they could do it too. Well, I can tell them, because I've done it..
Amy Chua is the John M. Duff Professor of Law at Yale Law School. Her first book, World on Fire: How Exporting Free Market Democracy Breeds Ethnic Hatred and Global Instability, translated into eight languages, was a New York Times bestseller, an Economist Best Book of the Year and one of the Guardian's Top Political Reads of 2003. Her second book, Day of Empire: How Hyperpowers Rise to Global Dominance - and Why They Fall, was a critically acclaimed Foreign Affairs bestseller. 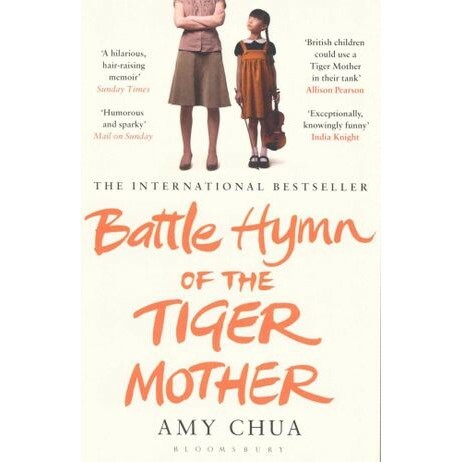 Amy Chua has appeared frequently on radio and television and her writing has been published in the New York Times, the Washington Post, the Financial Times, Harvard Business Review and the Wilson Quarterly. She lives with her husband, two daughters and two Samoyeds in New Haven, Connecticut.